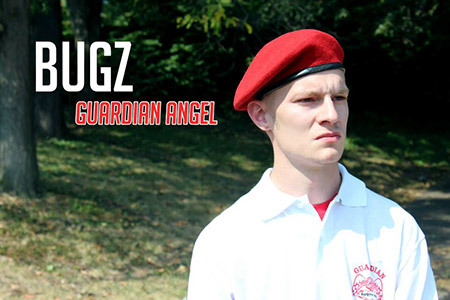 Bugz may be new to the Guardian Angels but his family history is not. He is the son of “Smoke” former assistant chapter commander who spent 5 years with the Baltimore Chapter who passed away earlier this year from cancer. Bugz truly has his own talents and we are surely blessed to have him continue the legacy as a member of our team. Watch carefully because I’m sure Bugz is going to leave his mark on the Guardian Angel wall of achievement.